Electric Mobility Canada (EMC) invites you to Halifax, Nova Scotia, for the 7th annual EV2015VÉ Conference & Trade Show, taking place from May 25th to 27th, 2015. This three-day event, under the theme “EVs Coast to Coast: Innovation and Infrastructure” will provide a new dynamic paced format featuring technical and business experts. A central activity space will encompass the trade show, B2B networking area and a new presentation format, the “idea walls”. The program includes a public Ride & Drive, with fast charging, and tours of innovative business and research laboratories that are shaping renewable energy and EVs in Canada. Plenary sessions will feature international and Canadian experts in academia, government and industry. 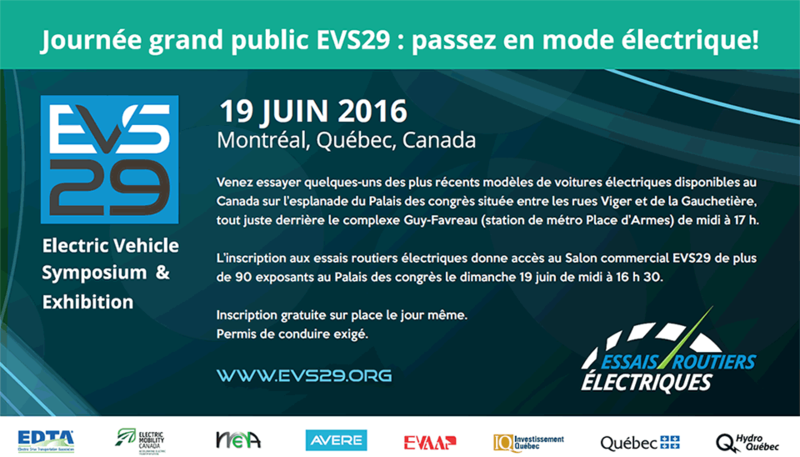 Delegates will be invited to participate actively in different consultations and to create a Canadian EV action plan. Mark your calendars – May 25th to 27th 2015. Take advantage of our early bird rates – Registration is now open! Join EMC in historic Halifax, to meet EV leaders and help move Canada into the future!